Description: Isa Gucciardi (author, educator, creator of the therapeutic model Depth Hypnosis, and founding director of Foundation of the Sacred Stream) responded to the conflict she saw all around her by developing a method of conflict resolution to help families and couples. In her new book Coming to Peace, Isa transforms her years of experience working with people in this way into highly accessible wisdom about the roots of conflict and peace. 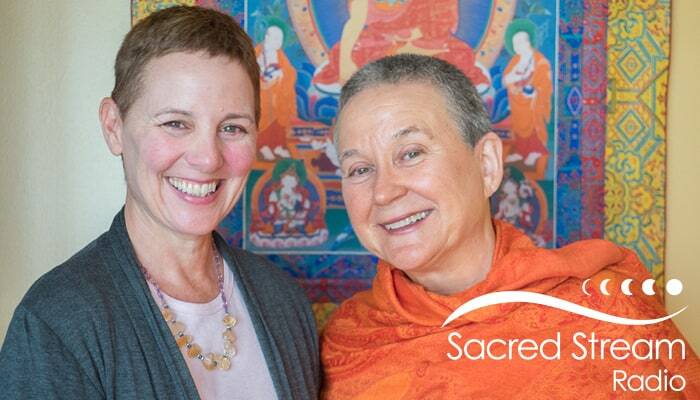 In today’s episode of the Sacred Stream Radio Podcast, she chats with Laura about Coming to Peace. This episode’s featured musician is Lisa Kellman and her record Nostalgias. Isa holds degrees and certificates in transpersonal psychology, cultural and linguistic anthropology, comparative religion, hypnotherapy, and transformational healing. She has spent over thirty years studying spiritual, therapeutic, and meditative techniques from around the world. She has worked with master teachers of Buddhism, Christianity, Judaism and Sufism, as well as expert shamanic practitioners from the traditions of Hawaii, indigenous North and South America, Siberia, and Nepal. Dr. Gucciardi speaks five languages, and has lived in eleven countries. In addition to directing the Foundation of the Sacred Stream and teaching many of its courses, she maintains an active Depth Hypnosis and Applied Shamanism healing practice in San Francisco.